Venn Ottery was purchased by the Devon Wildlife Trust in 1974, with a further purchase in 1989. 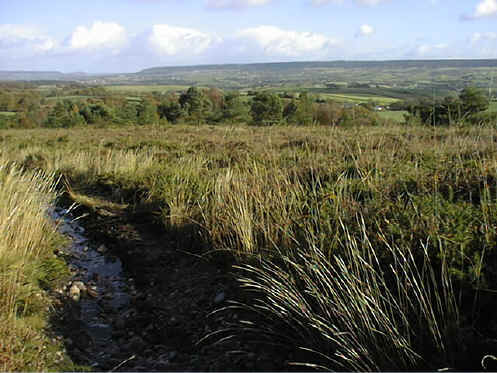 It is part of the East Devon Pebblebed Heaths, which are all rich in wildlife and of considerable geological interest. The Pebblebed Heaths represent Britain's largest area of lowland heath west of Dorset and this importance is recognised by their being designated a Site of Special Scientific Interest. 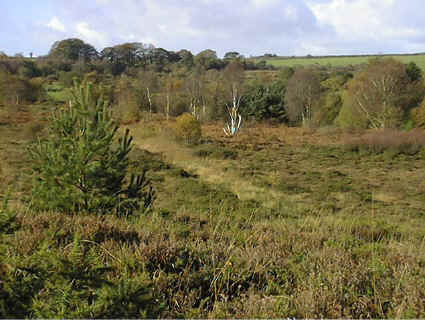 Venn Ottery nature reserve has large areas of wet and dry heathland, a raised bog, large patches of invasive birch and sallow scrub and old fields which have reverted to sallow carr and wet woodland. Peat digging in the past has created numerous wet hollows and recently DWT has reintroduced summer grazing with cattle to check the spread of scrub and control the growth of purple moor grass. There are no restrictions to access at Venn Ottery. From the A3052 take the B3180 turning at the Halfway Inn. After 1Km turn right, signposted to Venn Ottery and Tipton St John. After about 500m there is limited parking along the right hand side of the road, within sight of a junction on the left. Walk down this turning for 50m and through the red iron gate on the left (SY 064 924). This track leads to the entrance at the south end of the reserve. Alternatively, continue along the B3180 and turn right at Tipton Cross for Metcombe and Higher Metcombe. After 1Km, park on the verge beyond a public footpath on the right (SY 065 924). Walk down this lane for 400m. Where the lane takes a sharp left turn, continue straight on through a gate marked "Furzelands". 20m beyond this on the left is the entrance to the north end of the reserve. Although there are paths around the fields there is no marked route. Allow at least an hour to explore the site. Please do not disturb any livestock in the fields. Parts of the reserve are very wet. Purple moor grass, bell heather and western gorse are dominant over much of the site and cross leaved heath, ling and creeping willow are common. Bog asphodel, bog pimpernel, marsh St John's wort, marsh violet, lesser skullcap and bog pondweed occur in the wetter areas. Pale butterwort and long leaved sundew, both rare insectivorous species, are present in the raised bog. The woodland areas contain ash, holly, hazel and three species of willow. Invertebrates are abundant: among a wide diversity of species, golden ringed and keeled skimmer dragonflies are commonly seen as well as green hairstreak and grayling butterflies. The reserve supports many species of bird, including nightjar, stonechat and Dartford warbler. Twenty species of mammals have been recorded here, including muntjac deer and dormouse, and the commoner species of reptiles and amphibians are present.